Laziness was my best friend. And that is what kept me broke… I started to study what it was that Successful Entrepreneurs were doing in their daily routine. That is how I discovered the Morning Routine. I listened to several entrepreneurs' recommendations and hand picked what I would be able to do in my schedule and philosophy. I picked the next day to just start and do this for 30 days. I saw significant growth in these 30 days… more movement than I had in the last year! Tip: Read the Miracle Morning for inspiration. The book details inside look at different entrepreneurs morning routines for success. Truth of the matter is this. Some experts will preach that it requires 21 consecutive days to make a habit stick. Success, right? Contrary to that commonly held believe, I truly think if there is a will, it can only take 1 day to make a change. When you understand the purpose and you believe the reason for it, it does not take very long to incorporate it into your life! Note: You need to figure out your personal Morning Routine and what works for you. It may take some time to tweak it and you may not hit every single point each day. Your Routine may change over time as your life or business transforms. The important thing is to have a routine and have it stick. You will see results when you do your due diligence. Here, I list my morning routine that I have been following for quite some time now, watch my quick video. Did you like this video? Be sure to subscribe to my Youtube Channel for the latest! This is the biggest reminder of what I’ve been planning to do for the last few days. I’ve already written down what I need to do an accomplish. What I need to do now is wake up and stop trying to do everything. I have to learn to follow my list. Yes! You know what you need to do! Do the necessary first 🙂 Then the rest is bonus! I heard of the morning routine of course but this is the first video I’ve seen. Thanks for sharing. 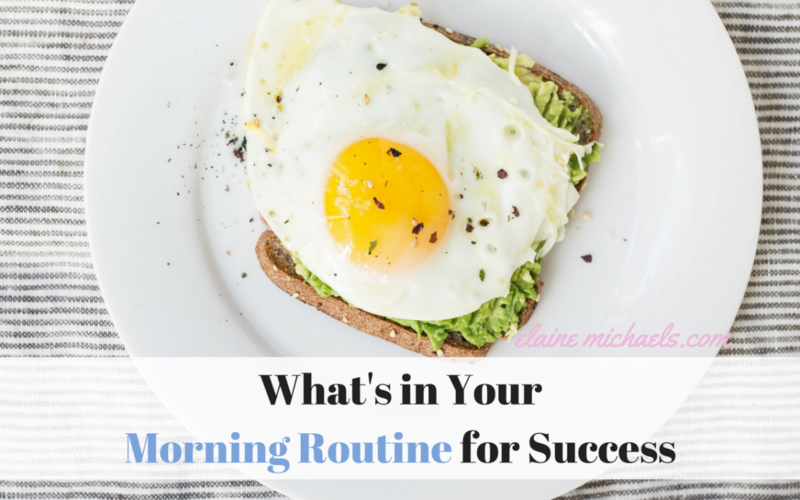 I think you’re right, that we need to take a look at our morning routines to see what works best for us. And a list to sort it all out is a good idea, too. I am trying to add at least 5 minutes of meditation to my morning & evening routines and also, brief mindfulness breaks throughout the day. It helps a lot to recondition my day first thing in the morning. For me I just have my quote for the day to meditate in the morning and really feel its value. My morning routine is my morning routine. My success comes from performing at my peak all day long- and dealing with the important stuff first and often. Yes, your positive vibe will attract others to you! Such a good reminder, I make my to-do list for my morning routine but of course, including in my morning routine is to have a minute of prayer once I woke up and say good morning to everyone. Oh my goodness! YES! Morning routines are everything and make such a differnce with my well-being. Thanks so much for sharing this! A successful day starts from a well-planned-for morning. Without a workable morning routine, every other activity of the day would most likely go to waste. I’m always up-to date with my morning routine list you bet! 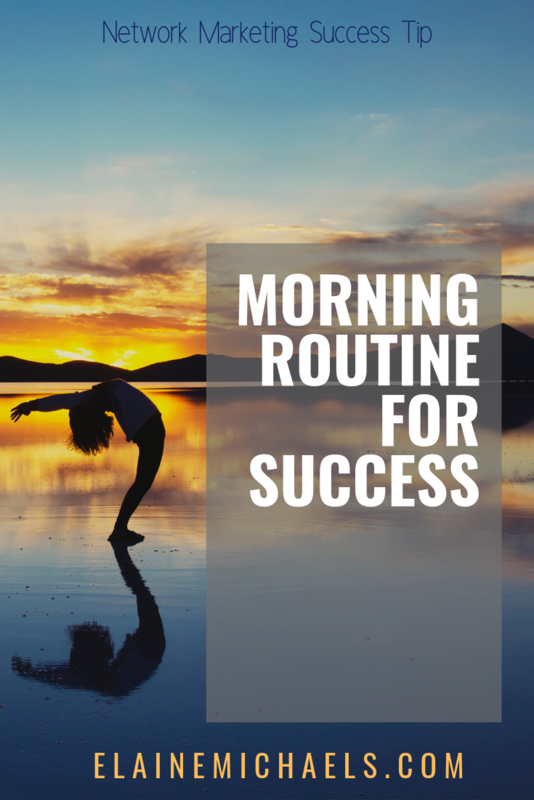 I didn’t realise that there was such a thing as a morning routine to be successful. But I can see how the focus can help lots of people. I have a morning routine, which has changed as my homeschooling kids have got older. And also how my work fits into it. What you do first thing in the morning has a huge impact on the rest of your day. This is a great reminder that we have to always aim to start our day right and doing so isn;t as difficult as most of us think. For me to have a great day, it has to be kicked off with coffee, open up the windows make the bed and set about my day. I do have my fitness regime in my morning routine. And I am following this for the past 2 years now. My morning routine includes meditation , healthy break fast , reading a book and daily wisdom . Having a healthy start of day will gradually give you a great day . I totally need to organize a morning routine vs. just waking up and tackling the world. Organization and routines are key to a balanced life! I truly believe in a morning routine. I’ve been following some over the years now. And those list are just on time because I’m planning to modified it. I also make a TO-DO list every morning. The Productivity Planner by Sha Nacino has helped me become more consistent with my daily routine. My morning routine is super manic with four kids! I need to get my routine together to shape my day! I only have 2 kids and juggling everything has been a challenge. Stay tuned, I will have a daily operation that works for me to get my non negotiables done! This is great, I need more motivation and organization lately. I used to be the master of organization and getting things done quicker, lately, I have experienced a situation that has thrown me for a loop. I really need to do make a list to see if I can became more organized about my daily routines and it all starts in the morning! Everything starts with a good morning routine. How you start your day can do so much for your success in life. I think this is a good reminder for us all. A good routine = A good life! In my day, the morning routine is crucial!! I have my italian-american coffee (i.e. i make an entire 6 cups moka and drink it all in a big mug as if it was american coffee), a yogurt and a lot of water. and drinking coffee i check my mails. Having a routine can help you achieve quite a bit first thing. It doesn’t help when you have others slowing you down though which I often find. Luckily I sill get a fair amount done most days. Thank you for this reminder. The power of habit! I know this already but hearing it again is a good push to change some of my bad habits that is holding me back. I NEED to write these down and put it where I can see it. I do not have a morning routine anymore. I’m standing up and get a coffee. Then I finish the stacks I did not do a day before and go in the day. I know I would have helped me a lot more healthy morning routine. I will have to try to put together that list of ten things this week. I am sure that this will be so helpful. Routines help me to do everything better. I just started getting up doing yoga in the mornings. I will definitely check out the book “Miracle Mornings.” I look forward to reading the gems inside the book. Yeah a well thought out and personal morning routine is important for sure. I’m still polishing mine but it certainly is getting there. Thank you for sharing your experience with us! My morning routine revolves mostly around my kids. But I do say a little prayer for the day and have a cup of coffee.